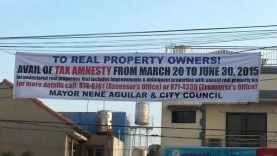 The Office of the Provincial Treasurer of the City of Antipolo recently published a notice of sale of tax delinquent properties. 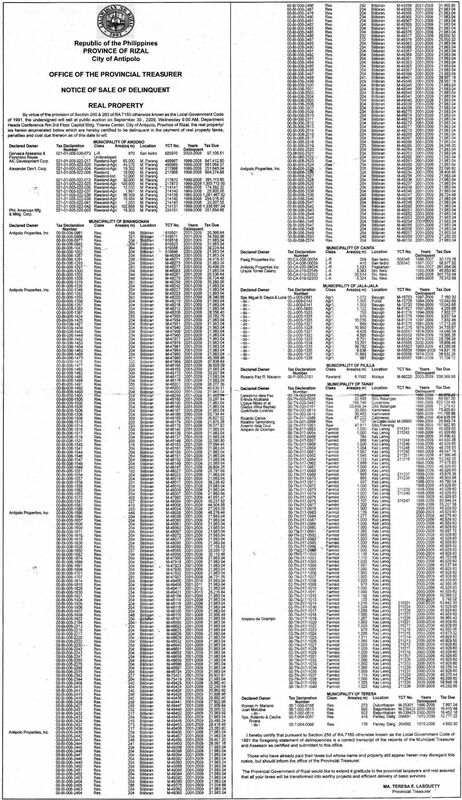 The notice of sale for the tax delinquent properties were published in the September 7, 2009 issue of the Philippine Star. I’m just glad my mom was able to find the notice of sale not just for me but for all of us. Thanks Mom! 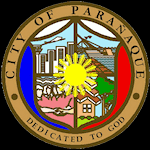 According to the notice of sale, the Office Of The Provincial Treasurer will be selling the tax delinquent properties through public auction on September 30, 2009, Wednesday 9:00 AM, at the Department Heads’ Conference Room, 3rd Floor Capitol Building, Ynares Center, City of Antipolo, Province of Rizal. 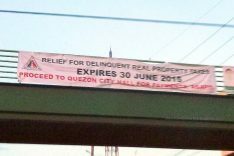 The tax delinquent properties listed on the notice of sale were said to be delinquent in payment of real property taxes, penalties and cost due thereon as of the date of publication of the notice of sale. 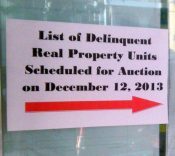 The most recent foreclosure auction of tax delinquent properties I attended was in Quezon City and you can read more about it here and here. 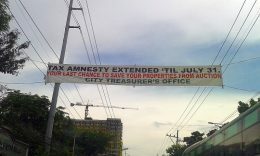 Speaking of Quezon City,they shall also be holding their own real property tax foreclosure auction on October 8, 2009. 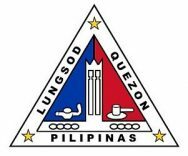 I’ll share more details about this in my next post.